The police and magistrates' courts have with immediate effect, increased fines for criminal offences by 100 percent. According to the new figures, an accused person will now pay minimum of RTGS$20 admission of guilt fine for Level One offences from a previous charge of $10 and a maximum of RTGS$$10 000 for Level 14 offences from RTGS$5 000. The new fines were published in the Government Gazette recently and have since become law. According to a local legal think-tank, Veritas, the effect of the new standard scale is that the maximum admission of guilt fine for a minor offences is now RTGS$60, which is equivalent to a Level Three offence. 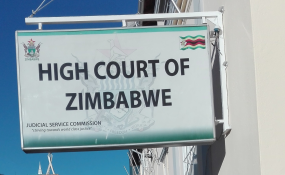 "The effect of the new standard scale is that the maximum admission of guilt fine for a minor offence is now RTGS$60 - the new Level Three - but this applies only to offences alleged to have been committed on or after 20th February 2019," Veritas said in a commentary to the new regulations. The legal watchdog added: "In deciding the amount of an admission of guilt fine, a police officer is usually guided by a schedule of deposit fines issued by the Chief Magistrate's Office, specifying offences for which the admission of guilt procedure may be used and indicating the amounts of the fines likely to be imposed by a court." Veritas said as a general rule, payment of the requested fine enables an accused person to avoid appearing in court. "But the police must submit every admission of guilt form to the Clerk of the Magistrates' Court, where every such case must be entered in the court records and if confirmed by a magistrate, recorded as a conviction and fine imposed by the court." In January this year, the police increased the maximum fine for traffic offences to RTGS$700 or imprisonment for a period not exceeding 12 months. Announcing the increase last December, Finance Minister, Mthuli Ncube said the increase was meant to promote road safety culture by adhering to road traffic regulations and act as a deterrent to criminal behaviour.